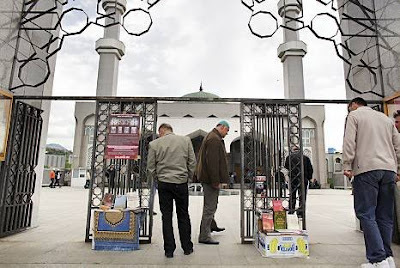 Shocker: Finnish Capital’s Newspaper Helsingin Sanomat Discovers the Rise of Islam in Bosnia……. – The Tundra Tabloids……. Shocker: Finnish Capital’s Newspaper Helsingin Sanomat Discovers the Rise of Islam in Bosnia……. Bosnia Helsingin Sanomat Islam Moderate? It just does not fit the model that Western stooges have had explained to them, that being, Islam is and always has been a part of Europe, so there is nothing to be alarmed about, just look at “moderate Bosnia“. Like the Tundra Tabloids has explained earlier, silver tongued apologists for Islam have had their way, for a long time now, with well placed, compliant fools here in the West. The following article in the Helsingin Sanomat, regardless of the fact that it takes notice of the rise in the traditionalist/fundamentalist approach to Islam in Bosnia, and that it’s funded by Saudi money, is just indicative of that continued foolishness. The journalist finds a way to end the article (subscription and free version differ somewhat) to let Islam off the hook, in that “moderate Islam” is indeed a viable commodity in spite of the fact that it’s actually an anomaly, when viewed in the historical perspective. SARAJEVO. “What, no selling of alcohol? 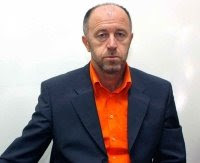 I had no idea,” wonders Dragan Nišić, 34, on the first floor of new shimmering BBI shopping mall of Sarajevo. Standing next to him is his girl friend Nina Soldo, 26, hands hold close to ten plastic bags. In the bags are t-shirts, bags and shoes. Croat-Serb couple has come to spend money at the Islamic bank finances shopping center, which is in accordance with Islamic rules. Its shops and restaurants may not sell alcohol or pork, nor on its premises to play gambling games. “It’s not a problem for us at all. We can even go to a liquor store on the other side of the street,” Soldo said. For them, as with a large part of Bosnia and Herzegovina’s population, religion is of little difference. Elsewhere in Sarajevo the atmosphere is quite different. In the badly war torn Alipašino Polje area, in the middle of flats with grenade holes, rises the great King Fadh-mosque. At the main gate stands a young bearded man read to immediately attack. “Thieves have their hand chopped off, so there won’t be any more problems,” declares the 26-year-old man named ‘God’s slave” and holds a lecture about Islam’s superiority to other religions. A similar dressed youngster sells oil, honey and the DVD version of the Koran in front of the mosque. It’s told that the King Fadh-mosque has a tendency to draw Wahhabists, conservative supporters of extremist Islam, the long bearded, tunic dressed men and carefully veiled women. At the most important time for Muslim prayer on Friday, džuman, a flow of same looking people approach the gates of the Mosque. Near the mosque is also noticeable a couple of fully covered, burkha dressed women. They believe it’s bad that the Muslim majority population drink alcohol and visit bars. Like more and more new Bosnian mosques, including the King Fadh, have been paid by Saudi money. A rumor also stated that the Saudis would pay women to wear the hijab or burka. The revenues are welcome to a country where unemployment is approaching 40 percent. Scarves are seen more and more in the rest of Sarajevo. They are mostly being worn by young women. Scarves are one of the additional phenomenons to the rise of Islam and religiousness. Communist Yugoslavia, before the 1992-1995 civil war, had faith as a private matter. Sarajevo, called the “The Balkan Jerusalem” is the location where west traditionally joins the Middle East and Islam with Christianity. Orthodox and Catholic churches and the mosque rises almost side by side in Sarajevo’s Old Town. Some terrorism experts have been concerned about the fact that Bosnia can provide fertile ground for extremism, Islamism, and “white Muslim terrorists’ recruiting. “If the economic climate for Bosnian Muslims deteriorates, it creates a basis for radicalism. But my assessment however, is that Wahhabism poses no real danger to society,” said the Sarajevo Islamic University professor, Šaćir Filandra. The Council will seek to approximate the various Bosnian religious denominations. For example, it has organized meetings with theology students and took them to each other’s churches and mosques. The many have never entered a second foot in other religious holy places. “It is good that they learn to know each other during the study period, because they could end up in the same village as imams and priests”, says the representative of Catholic community to the Council , Božana Katava. Fear is a major highlight for the European perspective. For example, Turkey’s accession to the EU is seen as a “Islam issue” because it would provide the more than 70 million Muslims. At the same time it has forgotten, that in the arms of the EU are the Balkans, which has the Muslim population of Bosnia seeking to join the Union. “It’s funny how the Europeans view Muslims as American Indians,” Professor Filandra says. Indeed. The article offers a host of contradictions and irreconcilable differences, where one states that there is nothing to worry about the rise of new mosques “we need them”, and then stating the there is “nothing to fear about the Wahabbists” though all of the new mosques are being funded by Saudi money, which pushes a Wahabbist agenda. Previous Post Previous Post Fakestinian PM Salam Fayyad Has Nothing to Offer the Israelis……. 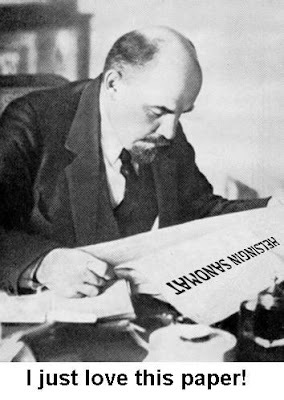 Next Post Next Post Manfred Gerstenfeld in Front Page Magazine: Norway’s Nazi Problem…….